Above: Dreams do come true… all of the Produttori del Barbaresco single-vineyard designated bottlings of 2005 Barbaresco, tasted in March at the winery with Aldo Vacca. Over the years, I have had the great fortune to taste with winemaker Aldo Vacca of Produttori del Barbaresco on a number of different occasions and in a wide variety of contexts. Anyone who’s ever met Aldo knows that he’s a precise, meticulous man, who seems to transmit the wise and judicious frugality of his origins into the 21st-century with grace and elegance. 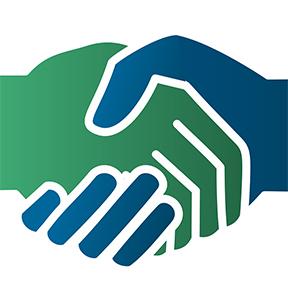 After all, 38 growers and their families and employees depend on him each year to deliver the wines of this cooperative to market. Whenever you meet Aldo in the U.S. or Vinitaly, he always has four or five of the crus open to taste with is guests. But because I dropped in with the balance of the Barbera 7 on that wonderful late-winter day in March, he opened all nine of the single-vineyard designated bottlings of the 2005 Barbaresco. What follows are my notes, as brief as possible (I tasted them in the order of body, as recommended by Aldo). In many ways, Pora could be considered the winery’s flagship wine (after the classic blended Barbaresco, of course). The vineyard was owned at one time by the winery’s founder, Domizio Cavazza, and it was among the first wines released as a single-vineyard designated wine in 1967 (the same year that Gaja and Vietti bottled their first single-vineyard wines). It lies in a central swath of famed vineyards of Barbaresco that include Faset, Asili, Martinenga, and Rabajà. Rich tannin, balanced black and berry fruit, gorgeous nose. The name Rio Sordo means literally the deaf river, in other words, the silent or underground river (remember my post Cry Me a Silent River about tasting with Giovanni Rizzolio?). The solitary Rio Sordo vineyard lies on the other side of a small valley from the Rabajà, Asili, Martinenga, and Pora swath. Very mineral nose, savory, earthy notes, darker fruit, balanced tannin. 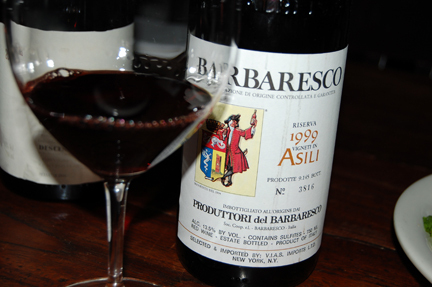 Many feel that Asili is the quintessence of Barbaresco and in many ways, would agree: perhaps more than another vineyard, it embodies that unique balance of power and grace, structure and elegance that defines Barbaresco. 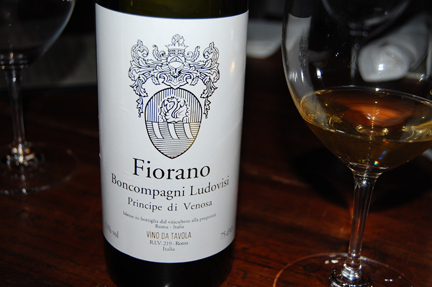 Some, like Bruno Giacosa, consider the greatest vineyard in the appellation. This vineyard lies sandwiched in between the Pora, Faset, Asili, Martinenga, Rabajà (and Moccagatta) family to the south and the Secondine and Bricco crus to the north. Like the more famous expression of this vineyard bottled by the Roagna winery (whose estate overlooks the growing site), this vineyard can deliver tannic and powerful expressions of Nebbiolo (tending toward Secondine and Bricco, perhaps more than the southern neighbors). At the time of tasting, this wine was surprisingly very bright and approachable. Of all the wines, it was the one I would have drunk most gladly that day. But I imagine it will be shutting down, based on my knowledge of the growing site. Need to revisit later. Lyle and I share a love for this vineyard, which sits at one of the highest points in Barbaresco, in the eastern section of the appellation. To the south it borders Rabajà and shares some of its savory, earthy power. It renders a very distinctive expression of Nebbiolo, thanks to its unique exposure. Even, balanced tannin, chewy and juicy wine, earthy and rich in mouthfeel. One of my favs of the tasting, black and red berry fruit and mud. The Rabajà vineyard has been the subject of much debate over the last few years because some of the rows have been reclassified as Asili, which lies to its western border. Historically, I’ve always found this vineyard to be slightly more powerful and with more tannic structure than Asili. The name Rabajà is believed to be a dialectal inflection of the surname Rabagliato (but its etymology is uncertain). Bright, lip-smacking acidity, and gorgeous fruit despite the Herculean tannin in this wine, savory on the nose and in the mouth. Stunning wine. Ask Cory and he’ll tell you that Ovello is his favorite. It lies in the northern section of the appellation, on the west side, not far from the Tanaro. My personal experience with this vineyard is that it renders more balanced tannin and extremely delicious earthiness. The winery’s classic Barbaresco (which, for the record, is generally my favorite bottling for any given vintage), is sourced primarily from Ovello. Very fresh, especially compared to the other crus, with judicious tannin, and great minerality and savory flavors. Drinking beautifully right now. Montefico is another vineyard, like Pora, that has played a historic role in the evolution of Produttori del Barbaresco and was once owned in part by the winery’s founder Domizio Cavazza. Like Montestefano, it renders one of them most powerful expressions of Nebbiolo bottled by the cooperative. In the series, ordered by weight and body, Aldo positioned it second-to-last for our tasting. The tannin still prevails in this wine, definitely needs time for the fruit to emerge. The slightly warmer vintage may penalize this otherwise truly great wine in the very long term but it’s sure to get better with every passing year. I can’t wait to revisit it in another 5 years. Located in the northeastern section of the appellation, Montestefano is the vineyard often described as the most “Baroloesque” of the Barbaresco crus. I take issue with such observations: while we were brought up to believe that Barolo is the more “important” of the two appellations, I find that ultimately Barbaresco is the appellation that inspires, intrigues, and bewitches more. It’s not a younger sibling to Barolo: if anything, it’s a cousin, related by blood, but raised by different parents. Together with Asili, Rabajà, and Pora, Montestefano is one of my favorites. It certainly produces one of the most long-lived expressions of the appellation and it is here that earthy, savory notes and black fruit combine in a sublime marriage. To me, tasting wine from this vineyard is like negotiating the tension created somewhere between grammatical and metrical rhythm in verse by Virgil or Petrarch. For the record, Beppe Colla bottled fruit from this vineyard as a single-vineyard wine in 1961, making it perhaps the first cru-designated wine in Barbaresco (although many point to the 1967 vintage as the birth of the cru system in Barbaresco). Simply stunning wine, a humbling experience, too young to see where the fruit is going to go, but one of the greatest wines I’ve tasted from the 2005 vintage anywhere in Piedmont. Above: I was pleasantly surprised to discover that Gaia Gaja, Angelo Gaja’s daughter, was super fun to hang out with. I interviewed her over Chicago redhots for my PalatePress piece on my encounters with 3 iconic Italian winemakers in “second-tier” American cities. Alfonso likes to call it “flyover” country: that glorious swath of land, that sweep of the scythe, those amber waves of grain that span from Chicago to the Rio Grande, the Middle West, Mittelamerika, the Third Coast, the Second Cities. In other words, the America that the Left and Right banks often ignore when it comes to the purveyance of fine wine and dining. Above, at dinner in Austin, from left clockwise: Tracie P, Dave Meyer (Banfi, Texas), Mark Sayre (my super good buddy and wine director Trio, Austin), Wes Marshall (The Austin Chronicle) and wife Emily, Lars Leicht (Banfi, whom I’ve known forever), and Rudy Buratti (winemaker, Banfi). When I realized that I would be having dinner and tasting with 3 iconic Italian winemakers in 3 different “flyover” cities, over the course of just 5 days, I thought it would make a good piece for PalatePress (and thankfully so did the editors!). Gaia Gaja of Gaja in Chicago, Rudy Buratti of Banfi (and newly elected member of the Brunello producers association 15-person advisory council) in Austin, and Giampiero Bea of Paolo Bea in Houston. Above: Another pleasant surprise was the 1999 Banfi Brunello (top vineyard) Poggio all’Oro, a wine I would not typically reach for (nor could afford). It was honest and delicious and it tasted like Montalcino. Great wine. The fact is that top Italian winemakers are traveling more frequently to markets they’ve neglected in the past. I recently found out that Giorgio Rivetti (producer of the infamously created-just-for-the-American-market, jammy, syrupy, ridiculously concentrated Spinetta wines) visited Austin last month. “It’s not often enough that a true gentlemen like Giorgio spends time in Texas,” wrote one wine blogger/merchant. This is certainly one of the reasons I’ve been lucky enough to have some interesting wine encounters lately. But then again, as the jingle for the ol’ So Cal franchise Love’s Wood Pit BBQ used to go, when you’re in Love’s, the whole world’s delicious. What do you serve the Pope when he visits Piedmont? Gaja of course! I couldn’t help but marvel when I came across this story this morning in the feeds (thanks to Italy’s preeminent wine blogger Mr. Franco Ziliani). What do you serve Pope Benedict XVI when he visits Turin for the current showing of the Holy Shroud? 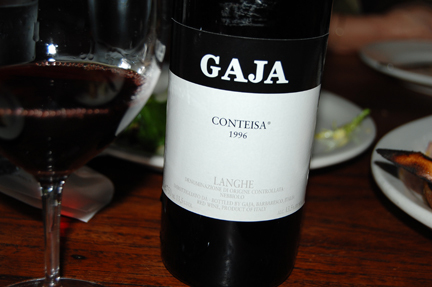 Gaja, of course! The lunch was served at the restaurant Marco Polo, owned by the aptly named Carlo Nebiolo. I have to confess that I am fascinated by the Papacy and I find the Holy Shroud of Turin to be one of the most intriguing “texts” of Western Civilization (more on that another time). The Shroud is on display until May 23 (check out the Shroud blog here). Check out these photos I snapped when I visited the beach in Del Mar, California yesterday with my buddies around sunset. I’m just an amateur photographer but lady California is a natural beauty. The beach at Del Mar (not far from where I grew up) is one of the most beautiful landscapes in the world IMHO. Above: Cory posed for me in front of an old large-format chestnut wood cask, once used to age Barolo at the historic Fontanafredda winery in Serralunga d’Alba. I highly recommend a visit there. The winery represents an important piece in the historical puzzle of the first Italian wine renaissance that began in 19th-century Italy. One of the more interesting elements to emerge from my recent trip to Piedmont was one enologist’s observation that Italy did not undergo a “barrique revolution” in the 1980s but rather a “stainless steel revolution.” One of the results of the new trend of stainless steel aging introduced in Italy in the 1980s, he claimed, was that small-cask, French-oak aging soon followed as a natural and necessary corollary. Made from an impenetrable and inert substance, stainless steel vats do not allow for oxygenation of the wine. As a result, he claimed, the use of barrique aging expanded in Italy. The smaller cask size oxygenates the wine more rapidly and the more manageable format helps to maximize cellar space (among other efficacious aspects of the now overwhelming popular French format). Above: Owner and winemaker Giovanni Rava at La Casaccia in Monferrato showed us this “vat,” carved into the tufaceous subsoil, once lined with glass tiles and used for vinification of Barbera (in the 18th century), now used to store barriques. Above: This patent, for “botti di cemento [cement casks],” dated 1887, is believed to be evidence that Fontanafredda was the first to use concrete vats to age wine in Italy. Above: Cement vats used to make one of my favorite wines in the world, Produttori del Barbaresco. Stainless steel is also used today at the winery, even for some of its top wines. In the 1980s, a lot of Italian winemakers shifted from glass-lined and varnish-lined cement aging and large cask aging to barrique aging (not at Produttori del Barbaresco, however). Above: One of Gaja’s barrique aging rooms is dominated by this fantastic Giovanni Bo sculpture, an extension of the well, no longer in use, in the courtyard of the winery. Honestly, I can’t say that I wholeheartedly agree with De Paola’s assessment that the advent of stainless steel is what made barrique aging necessary in Italy. But I do think that the introduction of stainless steel and barrique, together with a California-inspired approach to cellar management (prompted by the emergence of the Napa Valley fine wine industry) are all elements in the current renaissance of Italian wine (whether you prefer traditional- or modern-style wine). His observation that “stainless steel was the true revolution,” in my opinion, is a fair if atypical assessment: it’s not that Italian producers decided one day that they should age their wines in barrique. Barrique and stainless steel were both part of the new and contemporary era of Italian wine. So much (too much, really) of the wine we tasted during Barbera Meeting was dominated by new oak but we also tasted some fantastic stainless-steel aged and large-cask aged Barbera that really turned me on. Above: one of the Twin Lakes, a shot I took about 15 minutes before reaching the village of Twin Lakes near Leadville, CO. The beauty of Colorado leaves me speechless. Yesterday I crossed the Continental Divide (also known as the Great Divide) as I made my way from Boulder to Aspen. The awe-inspiring landscapes fill one’s soul with wonderment and marvel. The expanse of the horizon and the power of nature — and the accompanying introspection — puts a lot into emotional perspective. Above: it had snowed earlier in the day in and around Aspen. I took this shot about 5 minutes before reaching the Continental Divide. As I travel through these (for me) uncharted landscapes, I’m feeling a little like Lemuel Gulliver. And my arrival in Aspen brought even more wonderment. When I happened upon The Grog Shop, the town’s standby wine and spirits shop, it occurred to me that there is perhaps no other place in the U.S. where bottles of Haut-Brion and Gaja — ranging from $250 to $600 apiece — are displayed six-deep on the store’s shelves. Seems that they live well on this side of the divide. While browsing all the wines I cannot afford at the antithetically named Grog Shop, I couldn’t resist picking up a copy of The Wine Spectator’s “pizza issue.” I liked Harvey Steinman’s coverage of pizza in the U.S. but I was disappointed to see that the editors included only one Italian wine in the 75+ wines featured in their “Value Reds to Serve with Pizza” sidebar. It’s just as well: Italians generally serve beer with pizza (I have to confess, however, that one of my guilty pleasures is Nebbiolo and pepperoni pizza). Earlier this year, I did a post on New York City pizzerie, including a few pizzaioli omitted by the Spectator.